You’d think Congress would be too busy wrecking the economy to attack the environment. Yet, in the midst of a packed schedule snapping at President Obama’s heels and lunging for each other’s throats,Republicans have found time to try and rip the heart out of the Environmental Protection Agency, killing 40 years of protections for water, air, endangered species, wildlife habitat and national parks. 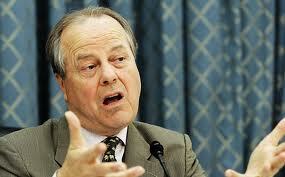 Kentucky 1st District Congressman, Ed Whitfield is one of the right wing champions of destroying the US EPA. The bill funding EPA and the department of the interior (HR 2584, if you want to look it up) is a dirty bomb, meant to destroy any rule that slows down environmental degradation. The legislation is so loaded with industry-backed amendments and riders – 77 so far – that it reads like a polluters’ letter to Santa Claus. One provision would allow uranium mining right next to the Grand Canyon. Another would stop EPA from regulating pesticides, even if the pesticides kill endangered plants, birds, fish and other animals. EPA’s funding would be slashed by 34% over the next two years, but America’s oil and gas companies would be given an extra $55m on top of the $36bn in federal subsidies they already get. No doubt it’s the merest coincidence that Koch Industries, a major funder of the Tea Party, makes an awful lot of its vast profits off oil and gas exploration, petroleum refining and coal mining. The bill’s many excrescences include assaults on fragile species, including grey wolves and Pacific salmon, America’s remaining wilderness lands and the very air we breathe. The EPA would be barred from limiting toxic emissions from power plants or setting fuel efficiency standards for cars, and, in defiance of existing law (to say nothing of common sense), the government could run its vehicles on fuels such as liquid coal, even though they’re dirtier than conventional fuels. Worse still, the bill is festooned with more than two dozen riders undermining decades of progress on water pollution. Before the Clean Water Act was passed with bipartisan support in 1972, 30% of drinking water samples from around the country contained dangerous levels of chemical effluent, the Hudson River teemed with carcinogenic PCBs, piped in courtesy of General Electric and Ohio’s Cuyahoga River was so full of petrochemical waste it actually caught on fire. Now, Republicans want to forbid the EPA to limit the toxic stuff that rains down on streams and infests groundwater when coal companies blast the tops of mountains, and stop the EPA from protecting wetlands in areas that have experienced flooding. Never mind that wetlands mitigate storm water, and if you drain them, the flooding will only get worse. In the Looking Glass Land inhabited by House Republicans, knowledge has a liberal bias. The EPA bill is not about saving money, and it’s certainly not about conserving ecosystems and resources. It’s about ideology, rejecting the idea that government should play a role in maintaining clean air and clean water for the general welfare of its citizens. It’s about asserting what rightwingers see as their God-given freedom to drive a gas-guzzler with a Godzilla-sized carbon footprint or dam a river because it’s convenient. So what if the salmon die? Eat bluefin tuna instead. It’s about refusing to “believe” in global climate change (as if data are faith-based), the same way they don’t “believe” in evolution or the Big Bang. Tea Party Republicans are always going on about how they want to protect the American Dream for their children and grandchildren, bequeathing them a better future. If they really care about the generation to come, they’ll remember that money doesn’t get you far in a world of poisoned air and filthy water. The economy cannot function if the workers are dropping from respiratory illnesses and waterborne diseases. But in the Tea-infused alternative universe, all regulation is bad; and if Barack Obama’s for it, they’re against it. Everything was great in those golden days when capitalism reigned unfettered, back when the air stung your eyes, the rivers burned and the lakes stank of death. 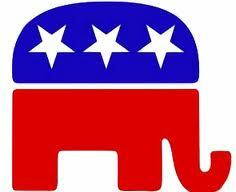 This entry was posted in Uncategorized and tagged Ed Whitfield, EPA, EPA regulations, Tea Party. Bookmark the permalink.